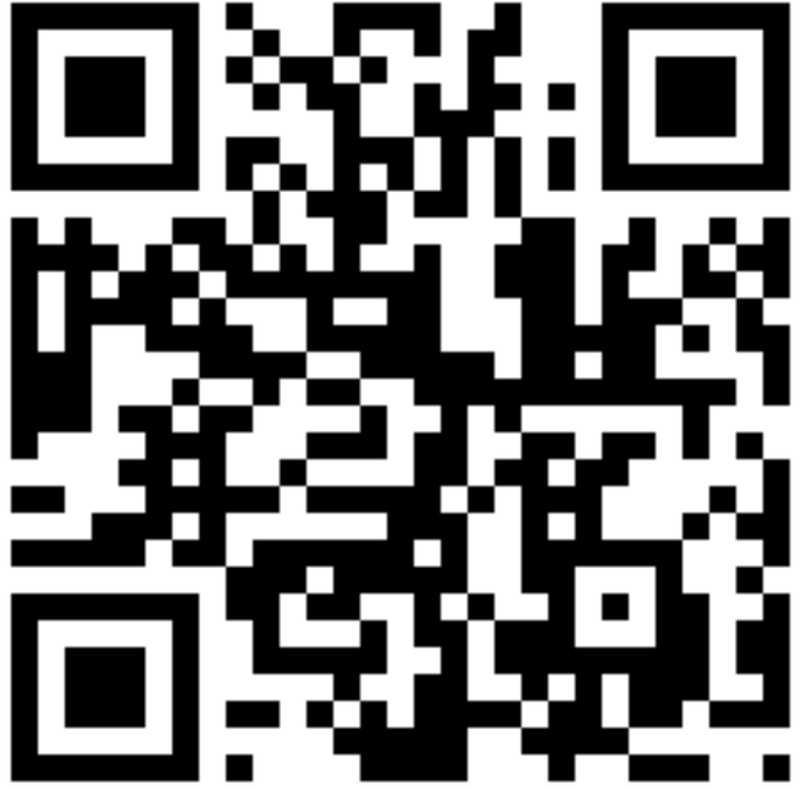 One area I’ve been experimenting with is the use of QR codes with my learners here in Cambridge. 1. I showed the students the QR code at the top of this post, and asked what it was. Although most of them had seen QR codes, none of the students were sure what they did. None had QR code readers on their smartphones. What are 3 of your favourite weekend activities? What are 3 of your favourite TV shows? What are 3 of your favourite mobile phone apps? 5. Students individually read each QR code message with the readers on their phones. 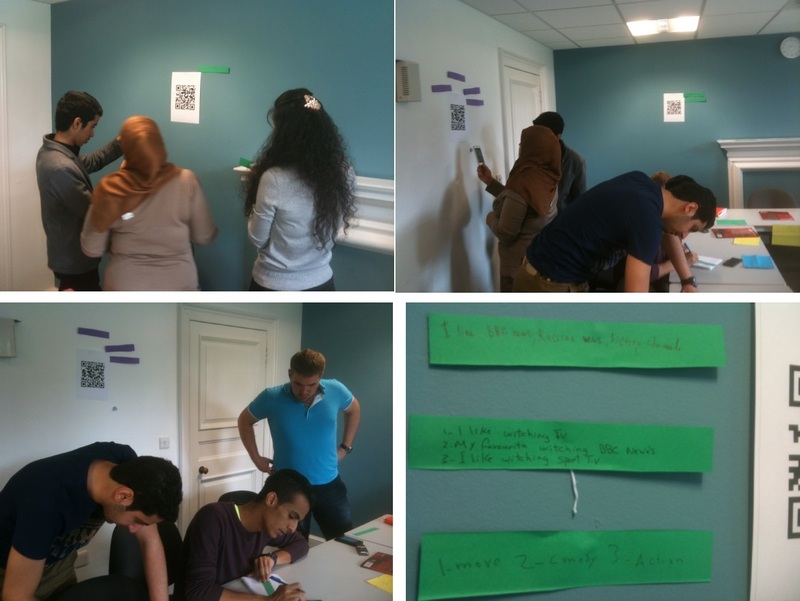 For each, they picked up a strip of paper, wrote their own answers to the message/question, and stuck their answers with blutack on the wall next to the QR code. I noticed that the learners worked hard at this point, and were fully engaged and on task – even those students who normally struggled to keep up in class, or were generally fairly unmotivated (yup, it was a challenging class!). 6. Once this stage was complete, I nominated four students to each take down one QR code and the surrounding replies on the strips of paper. 7. Each of the four students read out the message/question, and the responses, pausing so that the class could listen and guess who had answered. Even the very weak students were making an effort to understand and guess which classmate had replied what to each QR code message. 8. We extended the activity by having the students in pairs produce oral sentences about their classmates from what they could remember e.g. Saud enjoys going to London on weekends, Ilya’s favourite food is Italian and Chinese food, etc. In essence this was a simple review activity, and combined (very low level) reading, writing, listening and finally speaking, structured around 4 similar open questions. The students worked hard in this lesson, producing as much language as they were capable of. Did the integration of QR codes make any difference? I could easily have put the text questions themselves directly on the walls. But my perception during the lesson, and from the learners’ comments afterwards, was that they were more motivated throughout. No doubt the novelty factor helped, but they also gained a useful digital skill to apply outside of class (reading QR codes). Some of the students also commented that they liked the mystery or ‘secret message’ element of the codes, and that you needed a special tool (a QR code reader in this case) to decipher them. But most important of all, they produced language and practised a range of skills: reading, writing, listening and speaking. And that, rather than the QR codes, was the main aim of the lesson. What do you think? Would you try this simple activity with your students? Do you think it’s only suitable for lower level students? Or could you adapt the activity to use with higher level students? I’d love to read your comments and suggestions! Mobile devices in EFL: What do students think?